Apple Watch app development with the use of latest SDKs. Proven track record. Being sports, fitness and workout tracking apps' lovers, we build them frequently and with joy. Especially, when it comes to extending these useful apps to the most cutting edge platforms, such as Android Wear. Advent of wearable devices has meteorically given rise to development of wearable apps that sync well with wearable devices. Wearable app development has for many industries proven to be game changers. Medista: "When you require medicines, you want them now! But it often happens that you visit several stores before you find the medicines that you need. And it also often happens that your neighborhood Chemist ..."
Our company develops cloud solutions, applications and embedded software for drones and robots for agriculture, oil & gas, security and inspection industries. 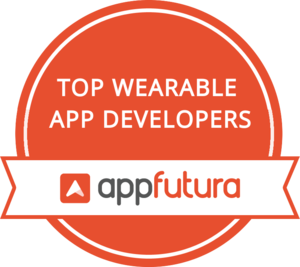 Wearable app development industry holds bright future. We at Applify are well aware with this fact. Hence, we devote a major portion of our time and assets towards creating revolutionary apps for wearable devices. "Absolutely a pleasure to work with. I can't say enough good things about DJ and team at Seasia. They are professional, fast, always available, and provide the best service of any overseas ..."
"RipenApps are an awesome team. If you are looking for the right expertise in Mobile App Development, please do approach them."